The power of the medium is palpable. Creating a post / page is least challenging, the visual editor makes updates very easy. There are a plethora of templates and functional plugins to choose from. You can also track visits to yourwebpages whenever needed. Plugins offer ability to extend the website with polls, contact forms, ratings, widgets etc., without having to hire a web designer. WordPress is a neat little package, no doubt! Being an opensource platform, developers share code with each other … saving time and cost. It has a large set of APIs and libraries because of this fact. Although it is a Content Management System, WordPress allows for ease of use without you having technical knowledge of programming languages. It is no surprise that WordPress is now powers approximately by 19% of the internet, as per Matt Mullenweg (co-founder of WordPress). However, all is not all ‘peaches and cream’ in WordPress territory. Here are a few issues to be aware of. For starters, WordPress is open source and uses MySQL as a database backend, both of which could make it less secure and a prime target for hackers. 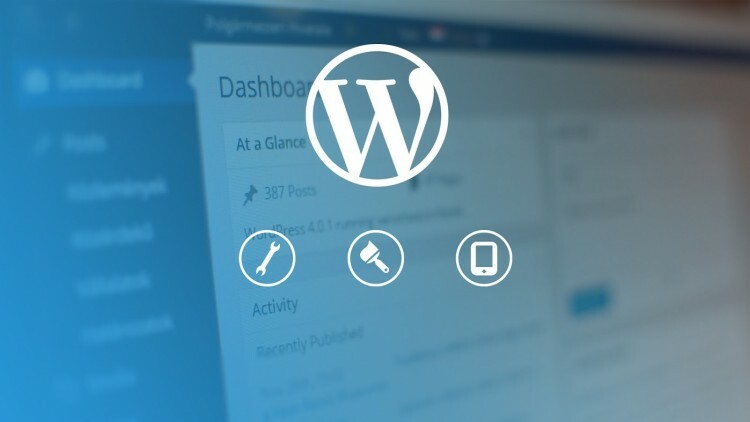 According to a Sucuri report, WordPress is the most hacked CMS platform worldwide. It is also highly vulnerable to cyberattacks, as the code in use is coming from another party in the chain; this open source code may be malicious, or may contain bugs to slowdown functionality. The analogy that comes to mind at this time is that of using your pet Yorkshire terrier as head of home security. While it may be easy to deploy and can attempt to scare with its noisy bark, it is highly unlikely to prevent a break-in. While the WordPress itself is free, there are significant costs when taken in totality. WordPress relies on plugins and themes for customisation, and in order to make the website standout, you may need to purchase newer themes and plugins. This can lead to several purchases that add costs. It is also a fact that WordPress and WordPress plugins are in constant need of updating to newer versions to fix bugs and security flaws. While the wide variety of plugins make it the very versatile, they can also slow down the website. The more plugins you use, the more compatibility issues you may face.You will have to be ready to make adjustments to your plugins and themes in order to have a functional website. Just as wearing a large number of accessories can make us look funky, it can slow down our response time in case we need to make a fast getaway. Let’s also not forget, running CMS on the server requires more server resources than a traditional web page. The web page takes longer to build and loads at a slower speed. WordPress also adds extra code to each web page, increasing the size of the page and making it slower to load. WordPress was not originally developed to be an e-commerce platform. Its popularity as a blogging platform has caused developers to overlay the basic program with themes and plugins to make it work for e-commerce. WooCommerce is the e-commerce plugin for WordPress. As your e-commerce business grows, processing a large number of scripts may overwhelm the web servers. In order to personalise or make changes to your WordPress site, you may need to possess HTML, CSS and PHP knowledge, i.e. code writing skills may become imperative. To make effective changes,youmay find yourself needing to write numerous lines of code. If you’re skilled at writing and integrating code, things can go down smoothly, but if not, you may feel severely handicapped or may even render your website dysfunctional.